Damascus Butcher. 6 5/8" overall. 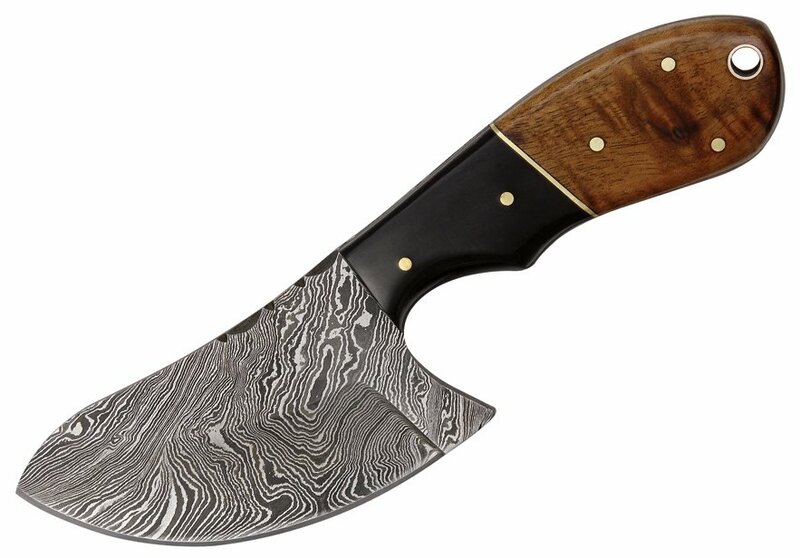 3" wide design Damascus steel blade. Full tang. 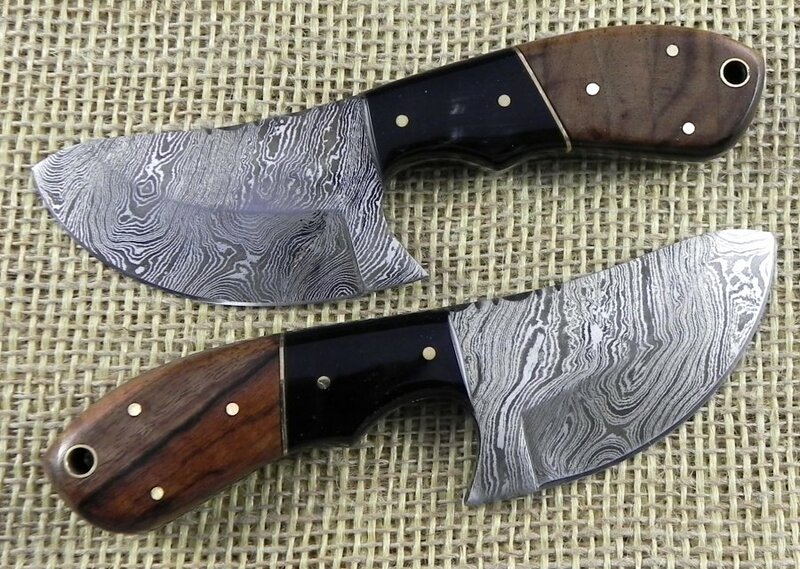 Brown wood and black buffalo horn handles. Brown leather belt sheath.